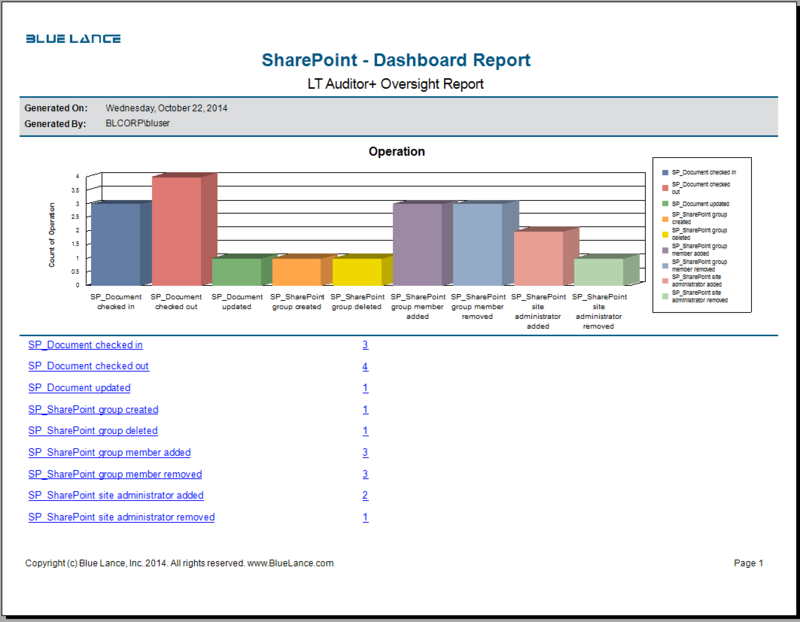 Reporting with LT Auditor+ 2013 for SharePoint has never been faster and easier. 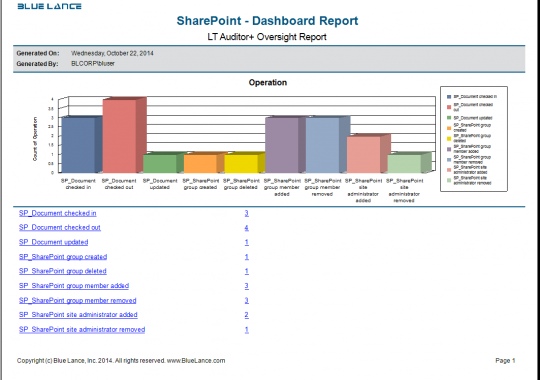 Through centralized reporting, users can consolidate data or create forensic analysis reports organization-wide. 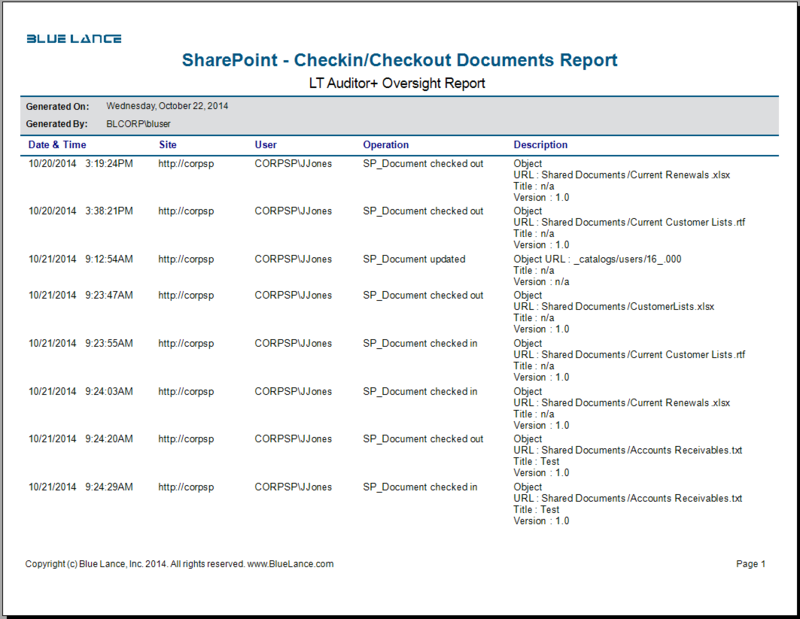 LT Auditor+ 2013 for SharePoint offers over 100 standard reports that target both security and compliance, all while adding drill-down capability to individual events. 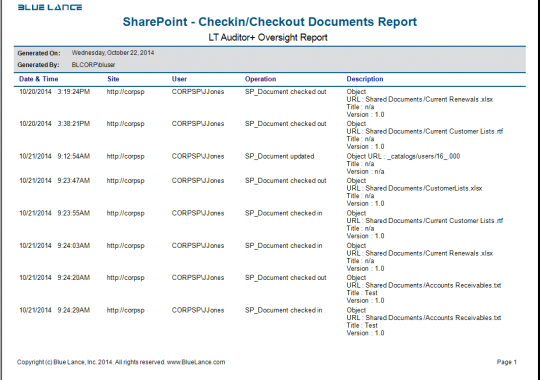 Additionally, new reports may be created and customized to display only required details and scheduled for automated delivery. 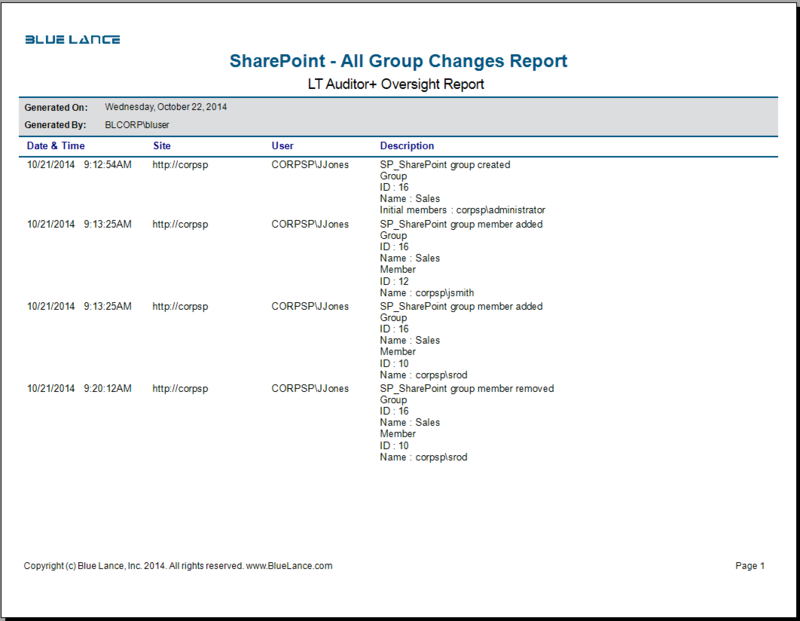 Quality Data: Removes the complexity analyzing events from event logs logs by providing clear, concise information on who did what from where and when on your SharePoint infrastructure in human readable format. 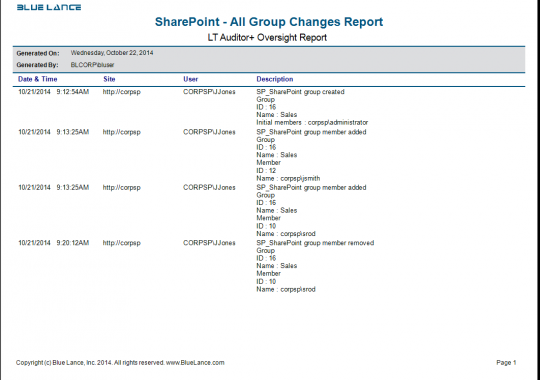 Real-Time Alerts: Get notified in real time when critical changes occur in SharePoint such as elevation of privileges or access to sensitive or critical documents. 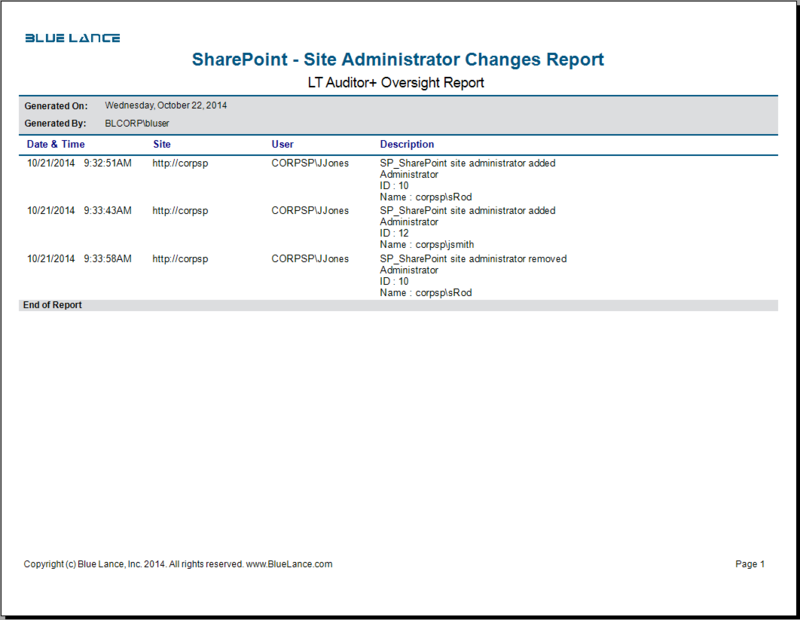 Track Site Administrative Changes: Monitor when configuration changes occur on SharePoint to ensure that these changes were authorized as part of change control processes. 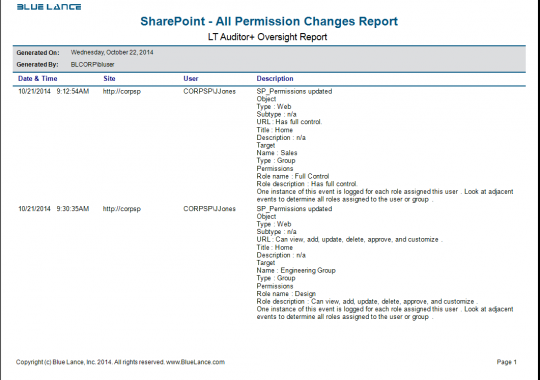 Permission Changes: Monitor when SharePoint permissions to sensitive files or sites are changed. 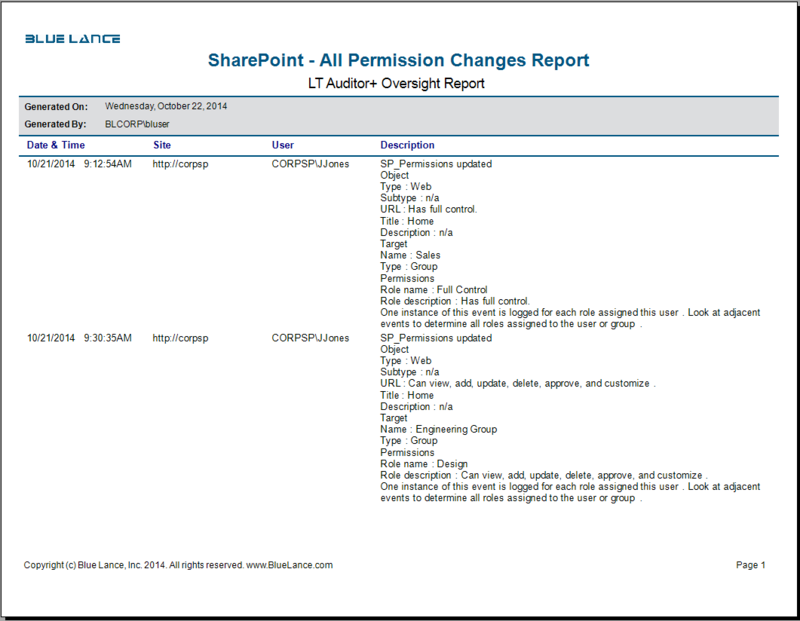 This is important to secure the principals of ‘Least Privileges’ and ‘Need to Know’. 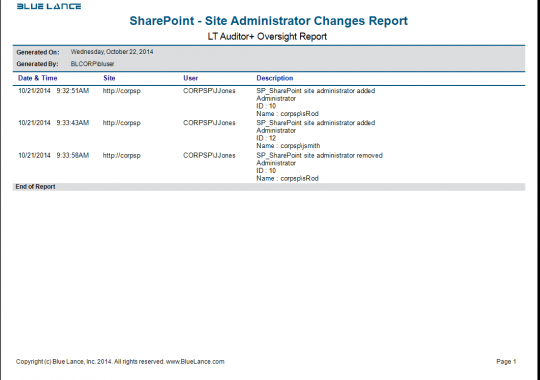 Simplified Management: Provides the ability to audit and monitor clusters of SharePoint servers from a single console.